Since his debut in the iconic 1987 movie, the Predator has appeared in plenty of video games. With that awesome design, badass wrist-blades, shoulder-mounted plasmacaster, and other stabby weapons, the Predator’s a great character to play as AND a terrifying enemy to face. Released in the same year as the film itself, Predator brought the Arnie / alien smackdown to home computers. This was available on the Commodore 64, ZX Spectrum, Atari ST BBC, MSX, and others. 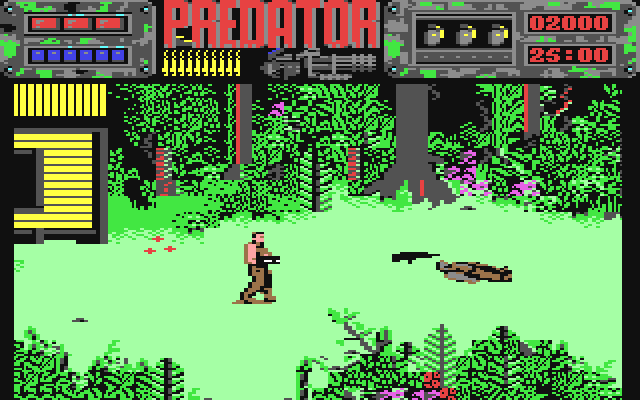 You play as Dutch, and have to get through different colourful stages until you face the Predator at the end. You shoot at bats, guerillas, and have to evade the Predator’s targeting sight whenever it appears on screen. It starts nicely too, with the squad disembarking from a helicopter, like they do in the film. The NES version is a platformer in the classic style of the era, and sees you facing off with a massive floating Predator head at the end (which wasn’t in the film, but what do you expect of games from the 80s?). There were different versions of Predator 2 released. One, on the ZX Spectrum and other computers, is a scrolling shooter viewed from behind your character. It’s basic, fun, and has some nice visuals. The other version is an isometric run-and-gun game in which you run through urban locations and blast bad guys. At the end, you fight a huge Predator in his ship, and then have to do a runner before said starcraft zooms off (just like in the film). He even leaves you an old-timey gun as a parting gift! This fast-paced side-scrolling brawler sees you playing as a member of the Predator race (otherwise known as the Yautja in expanded-universe fiction) as you stroll through brilliantly-designed levels and take down hordes of Aliens. It’s kind of like Streets of Rage and Final Fight. Only with more dreadlocks. And acid for blood. Considering this is from the days of the original Game Boy, The Last of His Clan is actually pretty nice, visually. Well, kind of – the Predator doesn’t look like much of a Predator, but the Xenomorphs are pretty cool. It’s as basic and ‘walk-punch-jump-walk-punch’ as you’d expect. This wacky arcade game lets you play as one of two cybernetically-enhanced humans (one of whom is Dutch, Arnie’s character from the original movie) or one of two Predators. It’s still stunning, with chunky, well-detailed sprites, awesome backdrops, and fast action. Sure, it takes some liberties with the material (to say the least!) but it’s a blast. And hey, where else can you see the Predator eat a pizza as a health pick-up? This classic 1994 AVP game looks pretty ropey in places now, but it’s a great adaptation of the material, with a creepy atmosphere. It’s a Doom clone, yes, but considering its age, it does a nice job letting you play as a Predator, with thermal vision and authentic weaponry aplenty. Five years after their first stab at an AVP game, Rebellion came back with this PC title. Again, you get to play as a Predator, an Alien, and a Marine, though it’s all been given a gorgeous makeover since the last time. Playing as the Predator, you get to hurl throwing discs, blast enemies with the plasmacaster, and get slashy with your wrist blades. Being able to turn invisible is a must for Predator games, and that’s used to nice effect here. It’s remembered mainly for being a pretty scary experience, with plenty of atmosphere. A couple of years later, a sequel hit the market, which tweaked the graphics and gameplay to be sharper, so it still looks impressive even today. This 2003 release takes a different approach to previous AVP games, being neither a beat-em-up nor an FPS. So, what is it? Well, AVP: Extinction is an RTS, with three different campaigns revolving around the Predators, Xenomorphs, and Marines. This is an awesome game, that lets you lead clans of Predators through missions, pulling skulls from bodies as you go. It looks great, and captures the dark, strange atmosphere of the universe nicely. You can take control of different Predator types, and seeing groups of Predators brawl with groups of Xenomorphs is thrilling. It’s not as well-known as other AVP games, but it’s well worth checking out for Predator fans. This third-person Predator action game lets you play as a Yautja, as you basically kill, climb, sneak, and run through a series of missions. 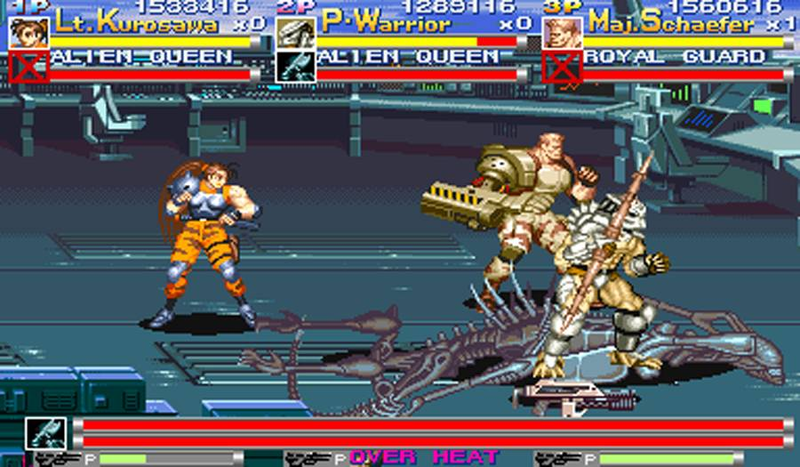 The plot’s set through different time periods, starting in the 1930s, and features a fight with Xenomorphs towards the end. This isn’t a classic, and it got some bad press when it came out in 2005, but it’s essential playing for Predator completists. 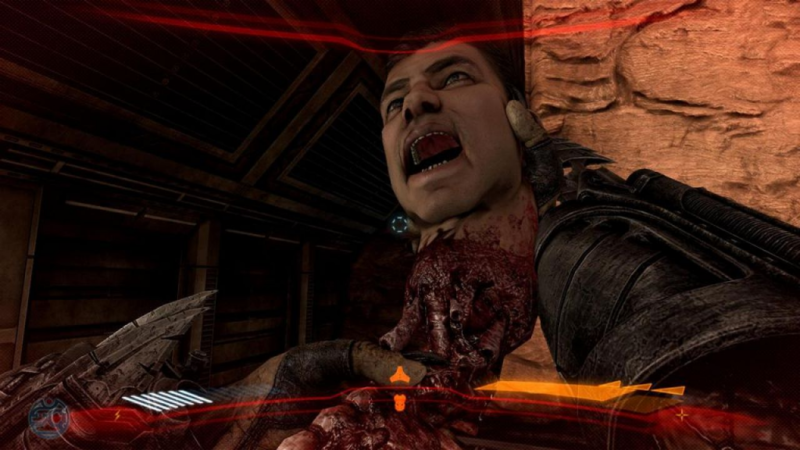 It’s also great being able to play as a Predator in the third-person, and on Earth, rather than FPS games set in space. Interesting fact: the script for the game was written by Grant Morrison, one of the best comic-book scribes on the planet. 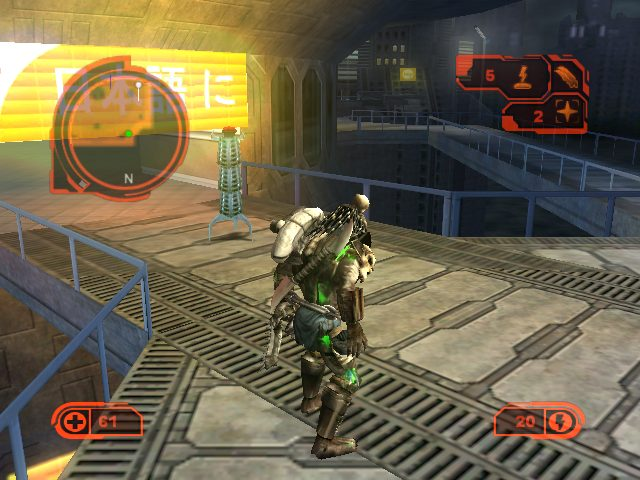 The second AVP film was a horrible, tasteless mess, but the PSP-exclusive game was received with more warmth. It’s by no means a must-play, but it’s a nice enough Predator game considering it’s on a handheld system. 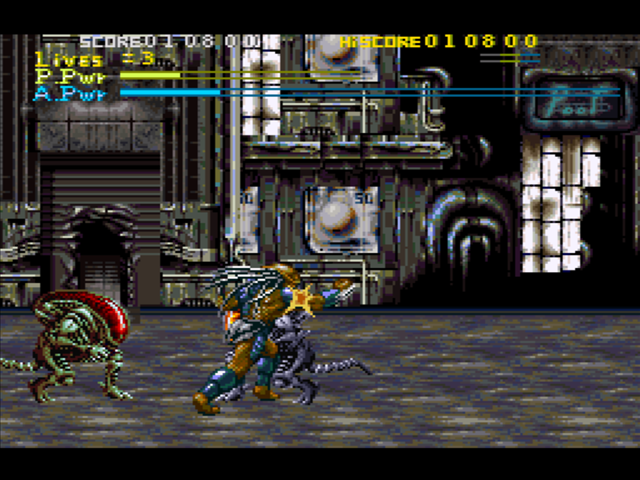 You play as Predator in and around the same small town seen in the movie, and face off against plenty of Xenomorphs. As you’d expect, you get to use the usual Predator tech … and that’s about it. Now, this is one hell of a Predator game. As with the other AVP games, this lets you play as a Predator, a Marine, and a Xenomorph. The Predator missions are gore-soaked and really nail the feeling of being so agile and powerful. Sneaking up on marines and ripping their heads off is awesome, as is ripping Xenomorph tongues out of their heads. It doesn’t necessarily do anything new, but it’s creepy and well-made, and looks terrific. No console games were released to tie in with the third Predator movie, named Predators (obvs), but it did reach mobiles. He’s appeared in other mobile games over the years, but this is probably the best. 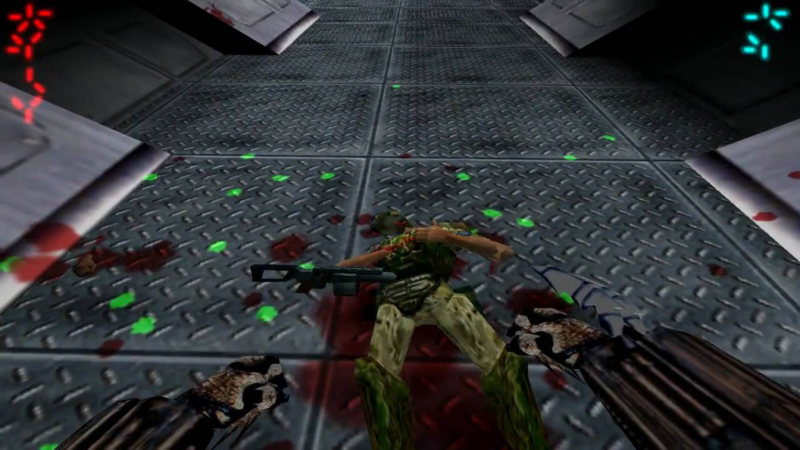 Predators is made up of short, fun missions that let you kill characters from the movie in a variety of ways. You can earn upgrades by collecting skulls, sneak around with your invisibility cloak on, and play with throwing discs, spears, and the plasmacaster. It’s not the best Predator game ever, but it’s worth playing. 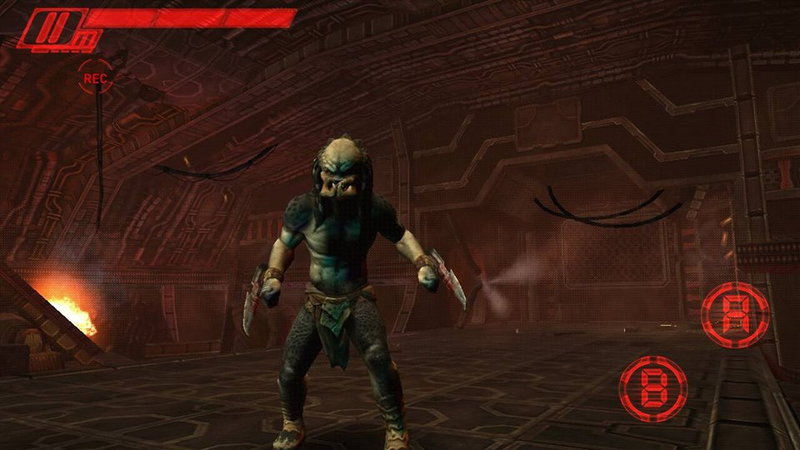 This is another mobile game, which lets you play as either a Predator or an Alien. It’s combat-based, and Predator does everything you’d expect, though it’s fairly limited due to its being on a mobile. Still, the visuals are great, and being able to yank Xenomorph heads off their necks rocks. We’re overdue a solid Predator game on consoles, though, so fingers crossed we’ll get a solo outing on the latest (or next) generation! What’s your favourite Predator video game? Let us know!